Since the Apple has introduced the Macbook Air in a market, there are lot of tech giants have been working from months to produce an ultrabooks to beat the Apple’s amazing design of Macbook Air. Today, Toshiba Japan has to release a press note claiming that they are going to bring the “worlds thinnest and lightest tablet and ultrabook” to the CES 2012. Toshiba Japan has claimed to have both 10.1-inch tablet and the 13.3-inch thinnest and lightest ultrabook to show off at the Consumer Electronic Show 2012, this month. In addition to claim, Toshiba has also said to be have a prototype waterproof tablet with the OLED display and with the capabilities of wireless charging. 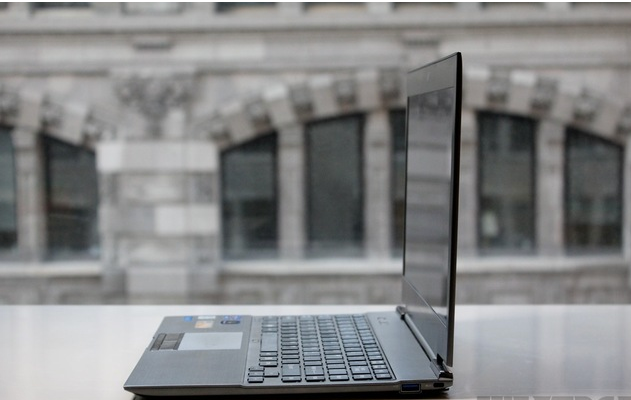 Well, in the past, we have seen similar claims from the Toshiba to be have a thinnest and lightest ultrabook for the customers, but seems to be failed. However, this year a lot of things going to happen and in the last year we have seen many new technologies discovery. Toshiba also going to come up with a new series of LED televisions too in the CES 2012, the company has claimed to be have a 55-inch TV with a QFHD resolution, glasses-free 3D display to the event. We will keep you updated about all the latest tech crunch going on CES, keep in touch with us, on blog!